Hi, Friends. 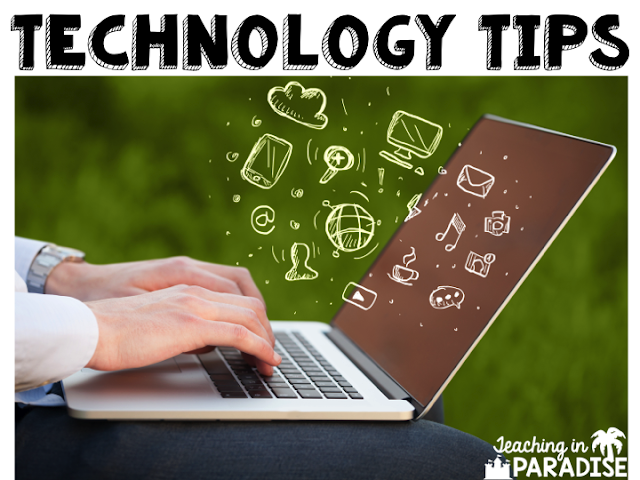 It sure has been awhile, but I am back today to share another tech tip. Way back in November, I wrote my very first tech tip post. I had planned to post these tips monthly, but life happened. We all know that teachers are B.U.S.Y! We have so much on our plates and sometimes it is hard to keep up. 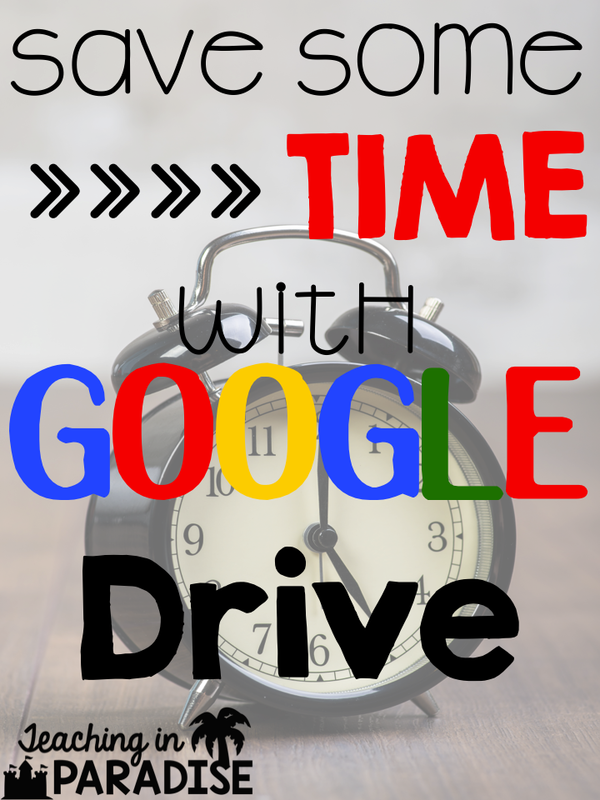 So today, I am here to share with you about how you can save A LOT of valuable time using Google Drive, specifically Google Docs. When you are in Google Docs, under the Tools tab you can select Voice Typing. This Voice Typing feature is AMAZING. As I'm sure we've all experienced from using voice typing on our cell phones, it isn't always the most accurate. What I love about this voice typing feature is that it will self correct what it originally wrote based off of context. Don't get me wrong. It isn't always 100% accurate, but it is waaay faster to talk out what needs to be typed, than me sitting there and typing it all. It only takes a few seconds for me to go back and fix any errors, if there were even any! To access this feature, you will go to Tools and select Voice Typing from your dropdown menu. A little microphone will pop up. You will need to click on that microphone (and allow access to your mic) and begin speaking. It's pretty easy to use, but if you'd like a more in-depth tutorial on how to use Voice Typing, you can check out this tutorial from Google. Here is a quick video of voice typing in action. (Please don't mind the horrible quality of my recording) lol. Another way that voice typing could be utilized to help you (and your students) is that they could type their papers using voice typing. I know, I know..it IS important for our kids to learn how to type and that they get the practice. But let's face it. Sometimes we are in a time crunch- and sometimes it may take a certain kiddo 2 hours to type a paragraph or two. #Aintnobodygottimeforthat Another great way to utilize voice typing is if a student needs an accommodation. Sometimes our poor little kiddos come with a broken arm or hand, and cannot write. Typing is usually an accommodation, but finger pecking takes forever. Now-we can make life easier for them with this great feature! Voice Typing is an easy way to get it all done, in a short amount of time. 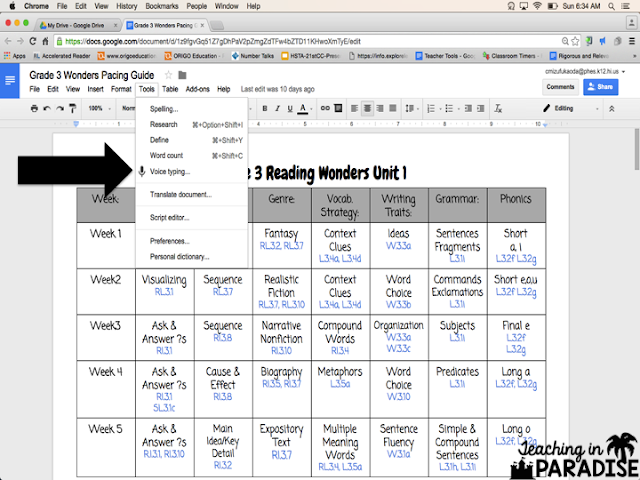 I was working on creating this checklist document so I could see which standards were taught in what quarter. It took me FOREVER to get down the Language standards. Then it hit me. I could use voice typing. I finished the rest of this document in 15 minutes, as opposed to a few hours typing. Aloha! This is the wonderful information about the Google drive. We are in this technology world. We have several ways and tricks to save our work and best moments. It gives us free space so that we can save our work. And we can use it anywhere. More technology related information is available on wellness shot. If anyone is unaware from this then he /she will come to know about the benefits of it. Thank you for sharing this nice information. Exchanges are difficult. Your exchange happens as indicated by the capability and experience you have. For the exchange here is a total rule that the capability, encounter you have and the records you must be submitted. Keep these focuses in your brain. This custom writing australia is really good for the high level of students.